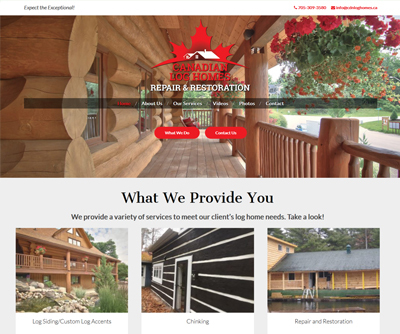 If you are a log home owner or seeker, Canadian Log Homes can help! 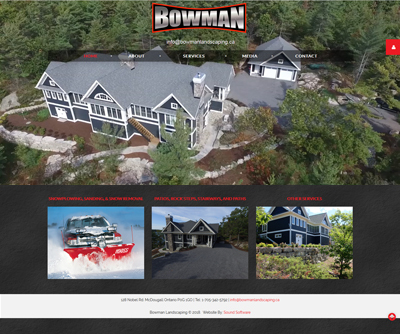 Their extensive array of services and expertise is known throughout the province. 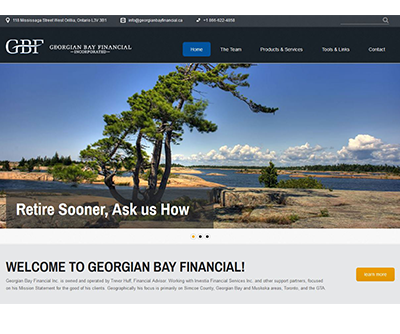 Rich with scenery of the lifestyle that Georgian Bay affords us all, Georgian Bay Financial's new website will remind you of the many simple things you can enjoy, especially when your financial needs are at peace. 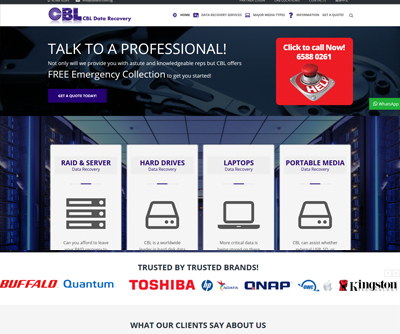 CBL Data Recovery's Singapore Website is designed to usher in a new stage of data recovery seekers. Morgan Construction came to us with a bit of a challenge - they had an internal database with a tremendous amount of data in their vendor database and no outward facing capacity to manage the upkeep of this database. We created for them a system to lighten the day to day operations significantly by automating their tender management, disbursement and upkeep methods. 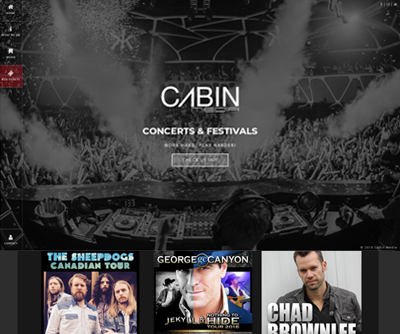 Cabin Media has grown exponentially since starting with us years ago, we are proud to be a part of their team. 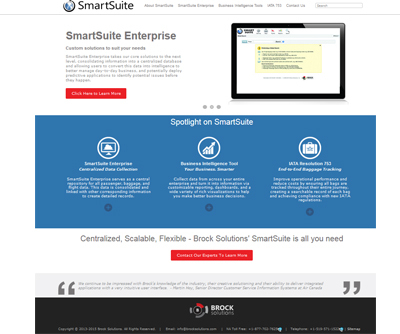 We are pleased to present a microsite for parent company Brock Solutions. Designed to answer and satisfy technical questions as well as showcase the function and use of Brock's innovative platform, we also incorporated a connections to the well furnished profiles of their staff members via integrated and dynamic LinkedIn profiles. 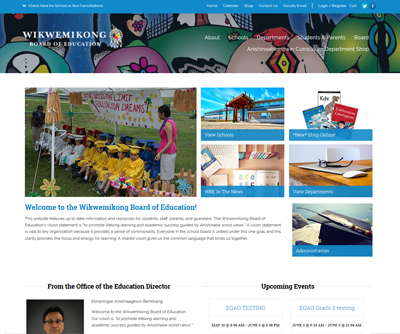 The site is also one of many new sites we've completed that adhere to all of the new (2015) google standards to ensure maximum search engine performance.